One thing I find so interesting is how Bath is home to the only hot, freshwater spring in the UK. 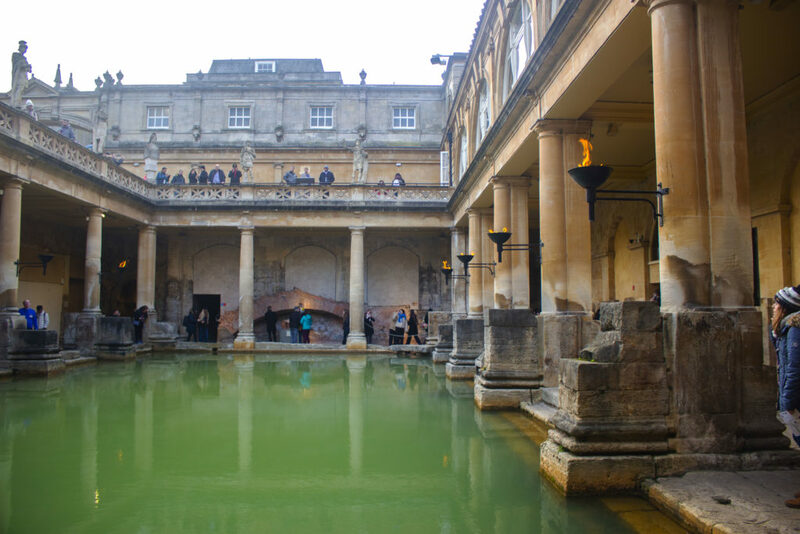 The Romans discovered this and had the initiative to create the famous Roman Baths. I recently visited the museum that is there today and found myself learning some much about the ancient city. 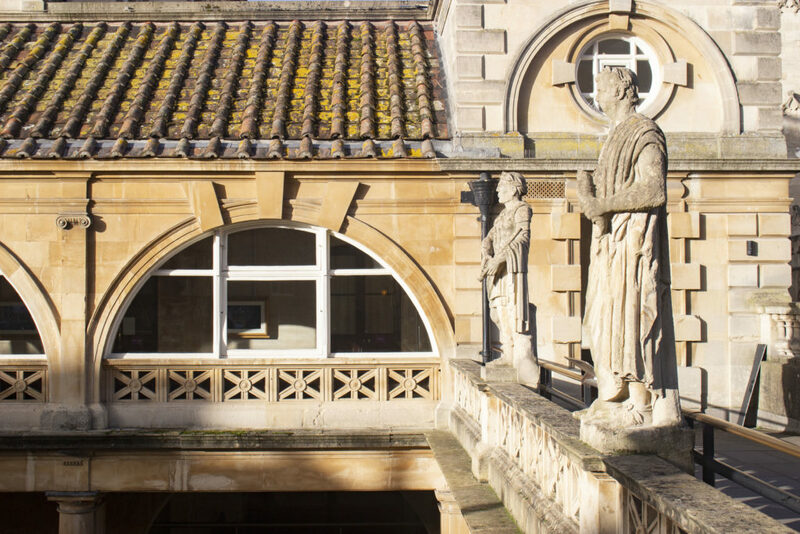 These baths are not just the old leisure centre that gives the city its name. Attached to the ancient architectural complex was a temple to the gods. 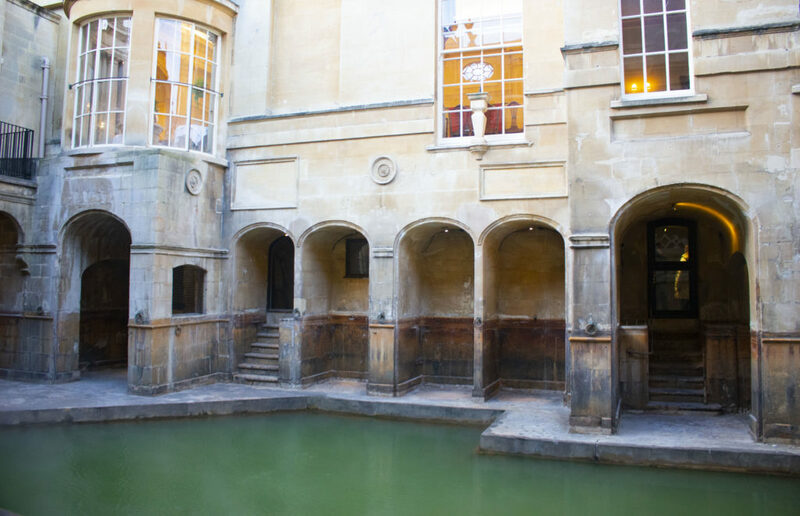 People would make pilgrimages to come and worship Aquae Sulis, bathe in healing waters and enjoy the luxuries of a spa treatment. You can wander around what’s left of the old ruins. The museum even uses projection technology to make the temple remains come to life, allowing you to move through the space with an understanding of where the temple sits in relation to the rest of the complex. The free audio guide is also brilliant! 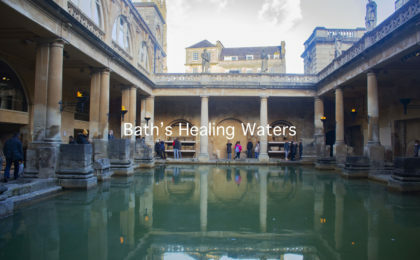 I love Bath and the bath stone combined with the turquoise water still to this day creates a tranquil environment. 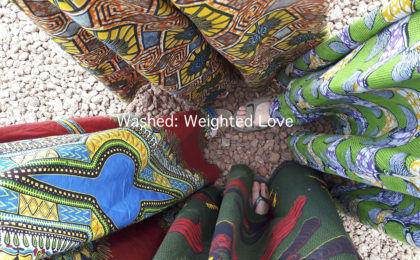 One feels as though they have stepped away from the hustle and bustle of life and entered a paradise. 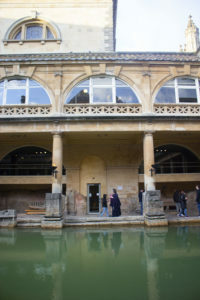 For years thousands of people have journeyed to these baths and I would argue that they still do, as they walk through the museum and literally stand where people once bathed. If you’re heading to Bath, then I would definitely say that this is the best museum in the area. 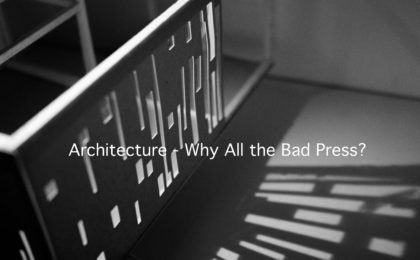 Also essential to understanding the city, it is great value but do make sure you book your ticket the day before! 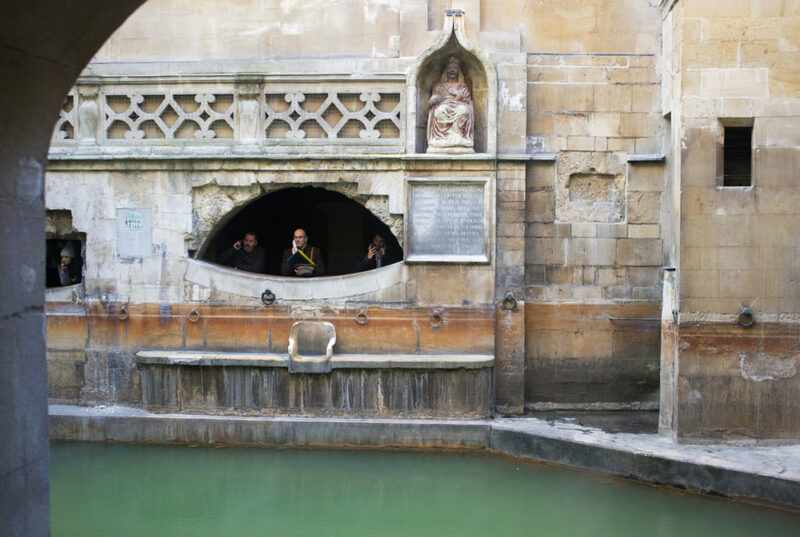 Be sure to enjoy the photos and dream of this ancient spa!